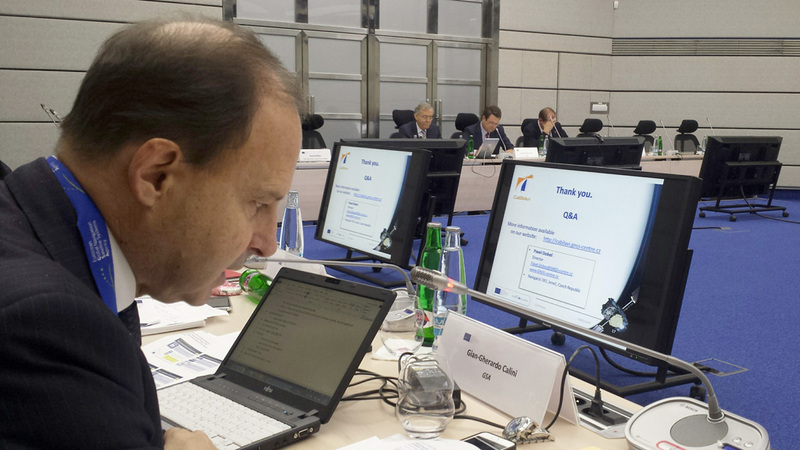 On Wednesday, 4th of November 2015, a headquarters of the European GNSS Agency (GSA) in Prague was visited by representatives of the Committee on Industry, Research and Energy (ITRE) of the European Parliament. 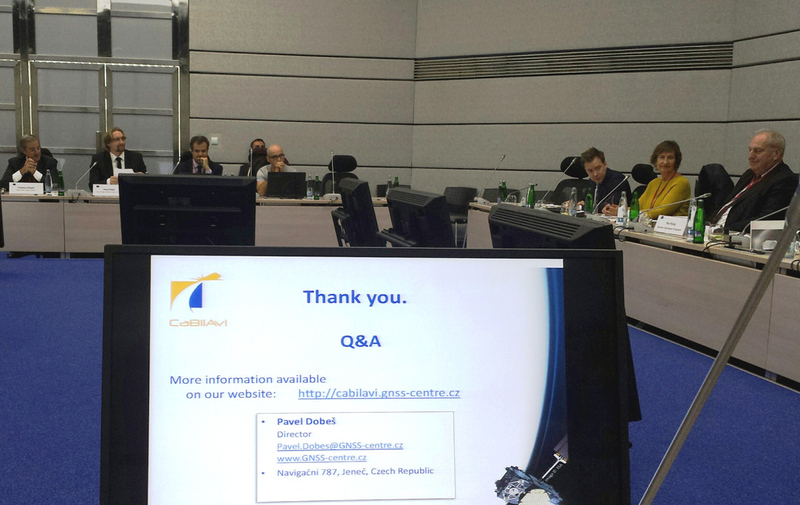 The agenda of this visit included also presentation of successful projects supporting development and practical utilization of applications using satellite navigation-based technologies within Europe. 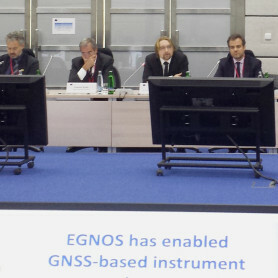 GNSS Centre of Excellence was invited to this event with request to perform presentation of the CaBilAvi project, which is directly focused on strengthening of GNSS-based technologies among final users. 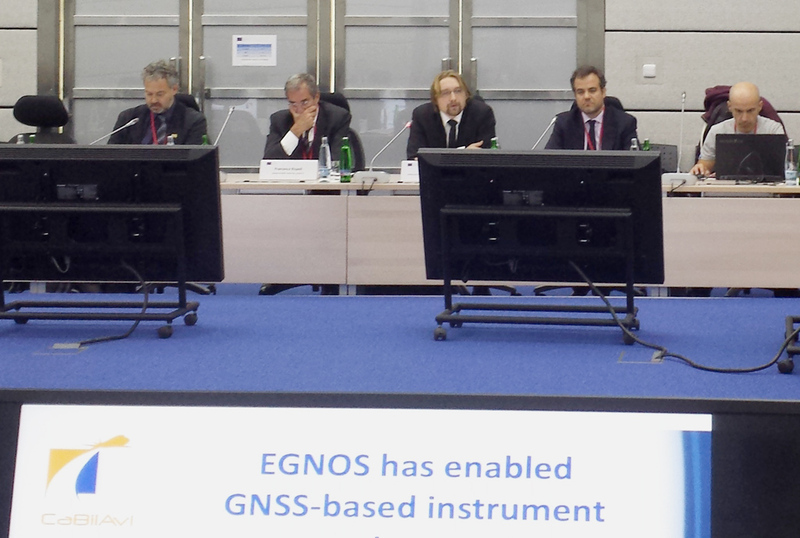 The presentation, briefly introducing EGNOS as today's main European product in the field of GNSS, its current application in Europe and efforts of GCE to support the significant extension of the use of this technology, especially in the region of Central and Eastern Europe, also through the CaBilAvi project, was performed by Pavel Dobeš, the Director of the GCE. 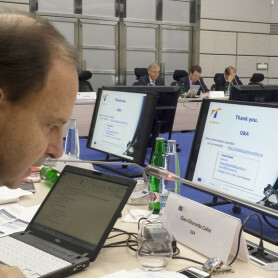 On behalf of the GCE, the meeting was further attended by Kamil Slavík, its Executive Director. 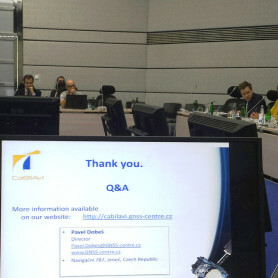 Although the limited time allocated to CaBilAvi presentation made very difficult to summarize everything tied with so extensive project, its already reached achievements as well as what is still being developed in accordance with the timetable of the project, the immediate reaction of the present people showed satisfaction with the already achieved progress as well as with the intermediate results of the project. We would like to use this way to thank all subjects participating in CaBilAvi for their cooperation so far. 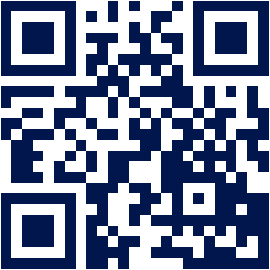 The presentation is available on the following link.